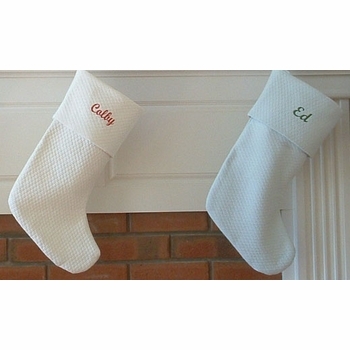 These quality matelassé Christmas stockings are a great gift for celebrating Christmas for Santa's boys and girls. 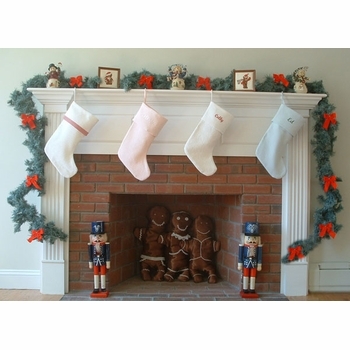 A perfect way to adorn your mantel, this stocking can be ordered in a your choice of quilted matelassé colors (pink, yellow, natural, blue or classic white). 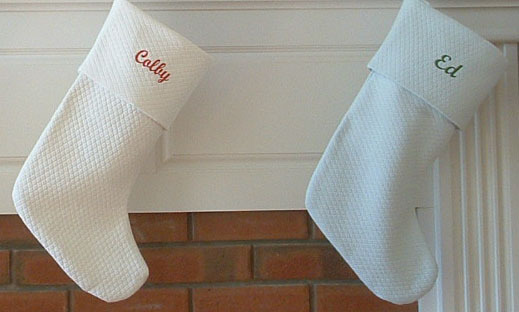 Each can be finished along the trim with complimenting trim and monogrammed name. 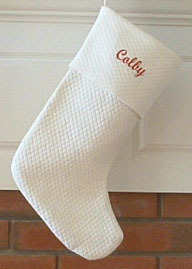 Measures 17 1/2 inches x 9 inches. 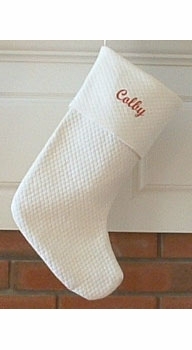 A perfect keepsake to remember baby's first Christmas or any of the special years ahead. 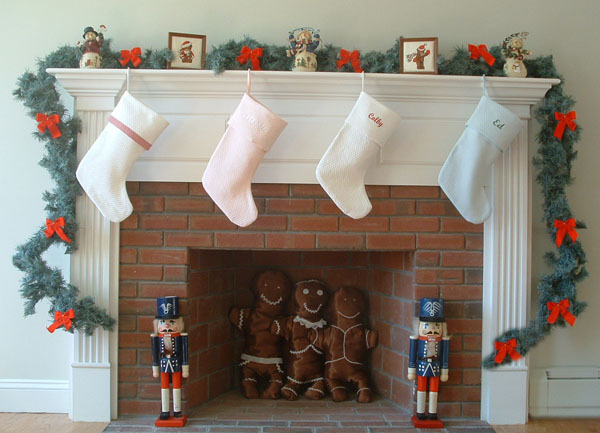 Buy one for the newest member of your family or one for everyone for a matching collection for hanging.